QST Centennial Photo Contest Now Under Way! December is Youngsters On The Air Month! The ballots have been counted, and ARRL members have determined that the Atlantic Division's new Director starting January 1 will be current Vice Director Tom Abernethy, W3TOM. Abernethy outpolled Phil Theis, K3TUF, 1400 to 1168, to succeed outgoing Atlantic Division Director Bill Edgar, N3LLR, who opted not to run for another term. ARRL Atlantic Division Director-Elect Tom Abernethy, W3TOM. Abernethy was Maryland Section Manager from 2001 until 2005, when he was appointed Vice Director, filling a vacancy. He also served previously as an ARES Emergency Coordinator. There was a three-way race to fill the Atlantic Division Vice Director's seat, and current Eastern Pennsylvania Section Manager Bob Famiglio, K3RF, topped the field. Famiglio polled 1583 votes to 503 for former Western New York Section Manager John Mueller, K2BT, and 470 for Scott Bauer, W2LC, also a former Western New York SM. Famiglio was first elected as Eastern Pennsylvania SM in 2012 and was re-elected earlier this year. His election as Vice Director will create a vacancy in the SM position that will be filled by appointment. He is an ARRL Volunteer Counsel, and he served as a District Emergency Coordinator from 2006 until 2011. The only other contest was in the ARRL Great Lakes Division, where current Vice Director Tom Delaney, W8WTD, received 822 votes to 517 cast for Steve Putman, N8ZR, who died earlier this fall while balloting already was underway. Delaney, who served for several years previously as a Public Information Officer, was appointed as Vice Director earlier this year to succeed the former Vice Director, Dale Williams, WA8EFK. Williams moved into the Director's chair after Jim Weaver, K8JE, resigned from the Board. 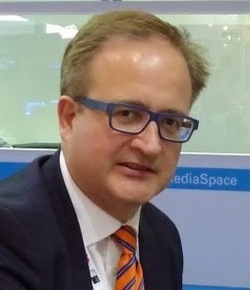 Williams was the only candidate for Great Lakes Division Director and has been declared elected. Midwest Division Director Cliff Ahrens, K0CA, also decided not to run for another term. Succeeding him on January 1 will be current Vice Director Rod Blocksome, K0DAS, the sole candidate for the position. He has served as Vice Director since 2010, when he was appointed to succeed Ahrens. No candidates stepped forward to run for the Vice Director's slot that Blocksome is vacating, however, so ARRL President Kay Craigie, N3KN, will appoint someone to the post. 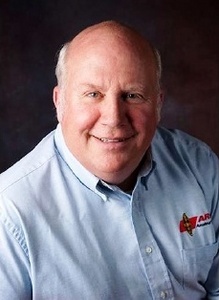 Ahrens was appointed in 2010 to succeed Director -- and now Honorary Vice President -- Bruce Frahm, K0BJ, in the Midwest Division. Incumbents in the Dakota and Delta divisions ran unopposed and have been declared elected. They are Dakota Division Director Greg Widin, K0GW, and Vice Director Kent Olson, KA0LDG, and Delta Division Director David Norris, K5UZ, and Vice Director Ed Hudgens, WB4RHQ. Ballots in the contested races were counted November 21, with Director Widin observing at the offices of Survey & Ballot Systems in Eden Prairie, Minnesota. Those elected take office for 3-year terms starting at noon Eastern Time on January 1, 2015. SKYWARN Recognition Day 2014 gets under way at 0000 UTC on Saturday, December 6 (Friday, December 5 in US time zones). This will be the 16th annual event. Co-sponsored by ARRL and the National Weather Service (NWS), the 24-hour event recognizes the vital public service contribution that Amateur Radio operators make while working with NWS offices during severe weather events. It also is aimed at strengthening the bond between Amateur Radio operators and local NWS offices. The volunteer SKYWARN program comprises nearly 290,000 trained severe weather spotters -- many of them radio amateurs -- who identify severe storms and provide NWS forecasters with reports of local weather conditions during severe weather events. 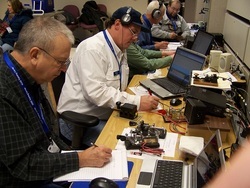 On SKYWARN Recognition Day, Amateur Radio operators visit National Weather Service offices and contact other stations in the US and around the world. WX4NHC at the National Hurricane Center in Miami will be among the NWS sites on the air for the occasion. SKYWARN Recognition Day is not a contest. The object is for stations to exchange some basic information with as many NWS stations as possible on 80 meters through 70 centimeters (excluding 1.25 meters). Repeater contacts are permitted. Stations exchange call signs, signal reports, locations, and a one- or two-word description of the weather at their respective locations. At KC0NWS in Kansas City, Missouri, SKYWARN Recognition Day 2013 participants included a mix of CW, phone, and PSK. More than 70 amateur stations are expected to be on the air from National Weather Service offices across the US, and some will use special event call signs. They will operate on various modes including SSB, FM, AM, RTTY, CW, and PSK31. While working digital modes, these special event stations will append "NWS" to their call signs (eg, N0A/NWS). It is suggested that a licensed non-National Weather Service volunteer serve as a control operator for stations set up at NWS offices. 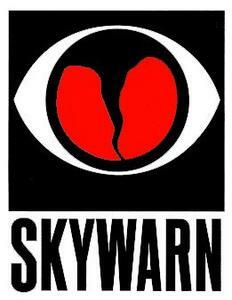 The VoIP SKYWARN and Hurricane nets will participate in SKYWARN Recognition Day. The weekly VoIP SKYWARN/Hurricane Preparation Net will meet 1 hour earlier on December 5, prior to the official start of SKYWARN Recognition Day. The weekly net and net activations for hurricanes employ the EchoLink *WX-TALK* Conference server Node #:7203 which is integrated with IRLP Reflector 9219. Additional details about SKYWARN Recognition Day are available on the SKYWARN Recognition Day web page. 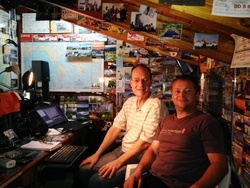 On December 1 the QST Centennial Photo Contest kicked off, to celebrate the 100th year of the ARRL's membership journal. The first issue of QST was published in December 1915. Between December 1, 2014, and August 1, 2015, ARRL members are invited to submit photos for consideration as possible 2015 QST covers. In addition to having their photos grace the cover of QST, each winner will receive $250. Images must be submitted by e-mail to upfront@arrl.org. Only one image can be submitted per e-mail message. You may submit multiple images during the contest period, but you can win only once. Images must be in JPG or TIF format at high resolution. Image file sizes must not exceed 5 Mbytes. Do not send ZIP files. These will be rejected by the Headquarters e-mail system. Links to file download sites will also be rejected. Include a few sentences with each e-mail describing the scene(s) shown, including names and call signs of individuals shown (if any). Images must not include text overlays of any kind, such as date or time stamps. Each submission e-mail must include the name and call sign of the photographer. Photographers must be ARRL members. If a photo includes anyone under the age of 18, you must submit proof (in writing, such as an e-mail) that the minor's parents have granted permission for the image to be published. Photographers will retain all copyrights, but by submitting the image to the ARRL, the photographer grants the ARRL non-exclusive rights to the use of the image for any lawful purpose in any media now existing or yet to be invented. This applies to both winning and non-winning images. The QST Editorial Staff will select the winning images. Amateur Radio Emergency Service (ARES) and Radio Amateur Civil Emergency Service (RACES) volunteers activated a net and went on alert in mid-November, even as they and their neighbors were digging out from several days of unprecedented snowfall in New York's Niagara Frontier. The severe weather in the Buffalo area was blamed for at least a dozen deaths. 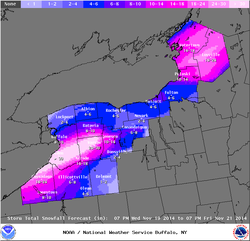 Western New York Section Emergency Coordinator Joe Tedesco, KC2DKP, said SKYWARN nets were very active over the course of two snowfall events during the week of November 17, and Amateur Radio was credited with relaying reports to the National Weather Service. Tedesco, who is also Assistant Erie County RACES Officer and a Military Auxiliary Radio Service (MARS) member, said he lives in a direct line from Lake Erie, where most lake-effect snow bands get started. "Although we always do see heavy snows, I have never seen anything close to the amount we saw yesterday," Tedesco said on November 19. His area received some 4 feet of snow. According to Weather.com, Wales Center, New York, recorded the highest combined snowfall, with 85 inches on the ground. No communication issues resulted from the weather emergency, Tedesco said. The heavy snow did cause roof collapses, however, and emergency crews faced challenges when responding to calls over largely impassable roads and highways. The deadline to accept nominations for the 2014 ARRL International Humanitarian Award is December 31. This prestigious award is conferred upon an amateur or amateurs who demonstrate devotion to human welfare, peace, and international understanding through Amateur Radio. The League established the annual prize to recognize individuals who have used Amateur Radio to provide extraordinary service to others in times of crisis or disaster. A committee appointed by the League's President recommends the award recipient(s) to the ARRL Board, which makes the final decision. The committee invites nominations from Amateur Radio, governmental, or other organizations. Nominations should include a summary of the nominee's qualifying actions and statements from at least two people having first-hand knowledge of the events warranting the nomination. These verifying statements may be from an official of a group (for example, the American Red Cross, The Salvation Army, or emergency management agency) that benefited from the nominee's particular Amateur Radio contribution. Nominations should include the names and addresses of all references. Submit nominations and supporting materials in writing (in English) to ARRL International Humanitarian Award, 225 Main St, Newington, CT 06111 USA. Nominations are due by December 31, 2014. Read more. Find ARRL on Facebook. Follow us on Twitter! The ARRL Centennial W1AW portable operations taking place throughout 2014 from each of the 50 states are now in Maine and Illinois. They will transition at 0000 UTC on Wednesday, December 10 (the evening of December 9 in US time zones), to Indiana (W1AW/9) and Montana (W1AW/7). W1AW has visited each of the 50 states once, and by December 31 W1AW will have been on the air from every state at least twice. The ARRL Centennial QSO Party kicked off January 1 for a year-long operating event. The event is open to all, although only ARRL members and appointees, elected officials, HQ staff, and W1AW are worth ARRL Centennial QSO Party points. Working W1AW/x from each state is worth 5 points per mode/contact, even when working the same state during its second week of activity. An ARRL Centennial QSO Party leader board shows participants how many points they have accumulated in the Centennial QSO Party and in the W1AW WAS operations. Log in using your Logbook of The World (LoTW) username and password. It's December, and once again time for the ARRL 160 Meter Contest. The action gets under way at 2200 UTC on Friday, December 5, and wraps up at 1559 UTC on Sunday, December 7. This is a 42-hour event with no operating time limit. If you have ever yearned to try your hand at Top Band contesting, this is the perfect opportunity! The ARRL 160 Meter Contest is an all-CW event, with ARRL/RAC Sections and DXCC entities serving as multipliers. In this contest, both DX and US/Canada stations can work Alaska (KL7) and Hawaii (KH6), as well as the US Caribbean (KP1-KP5) and Pacific territories (KH0-KH9). Contacts with US/Canada stations are worth 2 points, while DX contacts are worth 5 points. Three new Single Operator, Unlimited categories have been added: QRP, Low, and High Power. Single Operator entrants now may use spotting assistance without having to compete in the Multioperator category. Some successful operators even venture forth each year with just 5 W! Complete rules and entry forms are on the ARRL website. Logs must be e-mailed or postmarked no later than 1600 UTC on January 6, 2015. Read more. Always a favorite among serious and casual contesters alike, the 2014 ARRL 10 Meter Contest may enjoy excellent worldwide openings, plus a record number of participants! Activity in the CQ World Wide CW contest in late November was through the roof, with some operators reporting better 10 meter conditions than they could ever remember. "Don't miss out on this opportunity to work the world, before the Sun works its way back into a slumber," ARRL Contest Branch Manager Matt Wilhelm, W1MSW, urged. There are a few new twists this year. Single Operator stations using assistance will no longer be categorized as Multioperator entries. Also, nine new Unlimited categories have been added: Single Operator QRP, Low Power, and High Power CW Only, Phone Only, or Mixed Mode. Single or Multioperator stations may operate for up to 36 hours. Technicians have phone privileges from 28.300 to 28.500 MHz, so operators new to contesting, or even to HF operating, can take part. All stations will send a signal report as part of the contest exchange. Stations in the US (including Alaska and Hawaii), Canada, and Mexico will send their state or province abbreviations as part of the exchange; stations in the District of Columbia stations will send "DC." DX stations (including KH2, KP4, etc) will also send a sequential serial number starting with 001. The 2014 ARRL 10 Meter Contest gets underway at 0000 UTC on Saturday, December 13 (Friday, December 12, in US time zones). 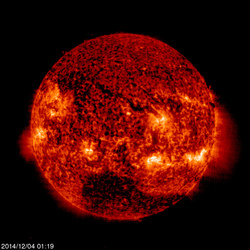 It concludes at 2359 UTC on Sunday, December 14. Logs should be e-mailed or postmarked by 0000 UTC Wednesday, January 14, 2014. Mail paper logs to ARRL 10 Meter Contest, 225 Main St, Newington, CT 06111. Read more. During December, special event stations around the world are taking part in the first worldwide Youngsters on the Air (YOTA) activity. Stations using YOTA-suffix call signs are expected to be active from all three International Amateur Radio Union (IARU) regions. Although most YOTA stations are in Region 1, one YOTA station will be on the air from St Lucia in the Caribbean (Region 2), and another will be active from the Philippines (Region 3). IARU Region 1 Youth Working Group Chair Lisa Leenders, PA2LS, said YOTA Month is an opportunity to give individuals aged 25 and younger a chance to make contact via Amateur Radio in all available modes. "With this event we are trying to get more youth activity on the air," Leenders told ARRL. "In addition to licensed younger radio amateurs, unlicensed young people will be able to get behind the mic together with a [control operator] to experience a possible new hobby. YOTA month is not a contest, but a friendly way of making radio contacts." She suggested that, in addition to names and signal reports, participants exchange other information, including age, location, and additional interests. A Youngsters On The Air Award will be available. Additional information is available in the most recent YOTA Month bulletin. Read more. 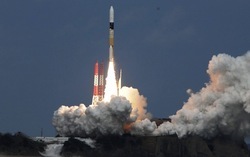 Agency (JAXA) rocket lifted off on schedule early on December 3 (UTC), carrying the Hayabusa 2 spacecraft on the first leg of its journey to Asteroid 1999 JU3. Along for the ride into deep space are two Amateur Radio satellites, Shin'en 2 (Abyss 2) and ARTSAT2: DESPATCH. The launch had been postponed twice owing to unfavorable weather conditions. Shin'en 2 will identify as JG6YIG, while ARTSAT2:DESPATCH will use the call sign JQ1ZNN. Shin'en2 carries a 0.1 W CW beacon on 437.505 MHz and telemetry on 437.385 MHz (0.8 W) using a mode similar to WSJT. It will also carry a F1D digital store-and-forward transponder with an uplink of 145.942 MHz and a downlink at 435.270 MHz (0.4 W), but not the Amateur Radio Mode J linear transponder announced earlier. The data format is posted on the Kagoshima University website. A linear SSB/CW transponder had been part of the initial design, but, according to Hideo Kambayashi, JH3XCU, that had to be abandoned because of regulatory issues. The digital transponder will offer earthbound hams an opportunity to test the limits of their communication capabilities, however. The project also is hoping to gather listener reports. The unusual ARTSAT:DESPATCH satellite during vibration testing. ARTSAT2:DESPATCH carries a 7 W CW transmitter on 437.325 MHz. Onboard will be the first sculpture ever to be carried into deep space. The ARTSAT2: DESPATCH mission is seeking "exceptionally skilled ham operators" as part of its "cooperative diversity communication" experiment. This effort will attempt to intercept signals from the spacecraft not only at the ground station in Tokyo, but at Amateur Radio stations around the world, "in order to reconstruct the original data from the spacecraft." "Reception of such weak signals to reconstruct data from the spacecraft will require the expertise of exceptionally skilled ham operators," the satellite's developers explained. The two spacecraft will have an elliptical orbit around the Sun and travel to a deep space orbit between Venus and Mars. With an orbital inclination of nearly zero, the spacecraft should stay in Earth's equatorial plane. The distance from the Sun will be between approximately 6.5 million and 12 million miles. The US Naval Research Laboratory SpinSat satellite was successfully deployed from the International Space Station on November 28. 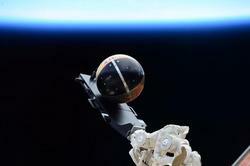 SpinSat arrived at the ISS on September 21 via the SpaceX Falcon 9 resupply vehicle. For the next few days, SpinSat's orbit will approximate that of the ISS. The ISS real-time tracker on the ISS Fan Club website can show when the spacecraft are within range. The 125-pound SpinSat, a 22- inch diameter sphere, carries a 2 W 9600 bps AX.25 packet radio store-and-forward system on 437.230 MHz. 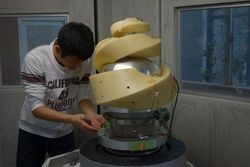 The satellite's primary mission is to demonstrate a new micro-thruster technology, from which SpinSat derives its name; its 12 electronically controlled solid-propellant thrusters will be fired in pairs to spin the spacecraft. International Amateur Radio Union (IARU) President Tim Ellam, VE6SH/G4HUA, in November called upon IARU member societies to seek the support of their respective governments for an Amateur Radio secondary allocation at 5.275-5.450 MHz, per Agenda Item 1.4 at World Radiocommunication Conference 2015 (WRC-15). Ellam told his colleagues in a letter that obtaining the allocation is "one of the main goals at WRC-15 for the Amateur Radio Service." WRC-15 will take place November 2-27 in Geneva, Switzerland. IARU President Tim Ellam, VE6SH/G4HUA. "The IARU officers and the Administrative Council have discussed this issue and feel it is very important that we have our IARU member-societies engaged in seeking support for Agenda Item 1.4 from their respective administrations," Ellam wrote. "In order to achieve success for [Agenda Item] 1.4, which will be a very difficult task for the IARU team at WRC-15, we will need as much support from administrations as possible." Agenda Item 1.4 stemmed from Resolution 649 at World Radiocommunication Conference 2012, which invited WRC-15 to consider, based on International Telecommunication Union (ITU) studies, "the possibility of making an allocation of spectrum, not necessarily contiguous, to the Amateur Service on a secondary basis within the band 5.250 to 5.450 MHz." As the WRC-12 resolution noted, more than 50 administrations have allowed various uses of frequencies in this band to carry out propagation studies, permit communication during emergencies and disasters, and verify that Amateur Radio can share spectrum with incumbent services. The IARU is seeking consideration for a secondary Amateur Service allocation at 5.275 to 5.450 MHz. Read more. Schools and educational institutions and organizations -- formal and informal -- have until Monday, December 15 to submit proposals to host an Amateur Radio contact with a member of the International Space Station crew. The Amateur Radio on the International Space Station (ARISS) program announced the opening of the application window earlier this fall. "ARISS provides an exciting outreach opportunity for the ham radio community to connect with local schools," ARRL Educational Services Manager Debra Johnson, K1DMJ, said. "A scheduled ARISS contact is a voice-only communication via Amateur Radio between the ISS crew and classrooms and communities. 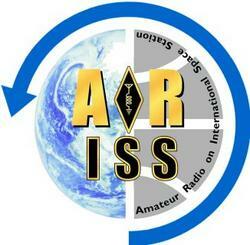 ARISS contacts allow education audiences to learn firsthand from astronauts what it is like to work and live in space." ARISS is especially interested in arranging contact events that attract large numbers of participants and that integrate the radio contact into a well-developed educational plan. Schools and educational organizations may apply individually or with other institutions or organizations. ARISS anticipates that the ham radio contacts between students and the space station will take place between May 1 and December 31, 2015. The ARRL website has more information about the program, including details on expectations, audience, proposal guidelines and application forms, and the dates and times of informational sessions. Contact ARISS with any questions or for additional information. part of a three-member ISS crew increment that launched in a Soyuz spacecraft from Baikonur Cosmodrome in Kazakhstan on November 23, safely docking with the ISS the next day. 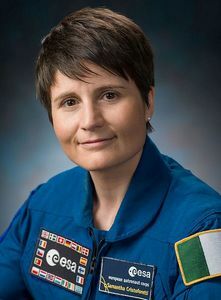 Cristoforetti, a former fighter pilot, is Italy's first female space traveler. With her on the Soyuz were Russian Cosmonaut Anton Shkaplerov and NASA Astronaut Terry Virts. All three are part of the Station's Expedition 42/43 crew. Welcoming the trio to the space station were ISS Commander Barry Wilmore and Cosmonauts Yelena Serova and Alexander Samokutyaev. Since Alexander Gerst, KF5ONO, and Reid Wiseman, KF5LKT, returned to Earth on November 10, the ISS had been without any radio amateurs. Cristoforetti will spend about 6 months in space. You can follow Samantha Cristoforetti on Twitter. By 1998, hams were communicating via the new OSCAR 27 satellite using hand-held transceivers and whip antennas. In early 1998, the FCC inaugurated its new Universal Licensing System (ULS). The Commission also required ham radio applicants to use a new Form 610, on which they had to certify that they had read and would comply with the new RF safety rules. The ARRL continued efforts to protect against any possible reallocation of Amateur Radio spectrum. On September 1, 1998, the ARRL launched a members-only section of its website, which provided many features of interest to amateurs. The ARRL Letter, previously available only via the ARRL website, was thereafter e-mailed directly to subscribing members. By April 27, 1999, some 50,000 members had signed up to access members-only content. In the late 1990s, the FCC launched a new era in Amateur Radio enforcement. The persistent efforts of the ARRL and recent FCC administrative and staff changes led to the revived enforcement. On January 13, 1999 -- in an unusual move -- Riley Hollingsworth, K4ZDH, special counsel in the FCC Enforcement Bureau, broke in on a 75 meter contact that had degenerated into a nasty confrontation. He got the participants settled down and then stayed on frequency to make a few remarks about enforcement. Tad Cook, K7RA, in Seattle, reports: Average daily sunspot numbers rose substantially over the past week, from 97.4 in the previous 7 days to 152 for the most recent. Average daily solar flux rose from 168.9 to 172.1. Predicted solar flux is currently 150 on December 4-6, 145 on December 7, 140 on December 8-11, 180 on December 12-14, 185 on December 15-19, 170 on December 20-23, 175 on December 24-27, 180 on December 28-30, 170 on December 31 through January 1, then 165, 160, 170, and 175 on January 2-5, and 180 on January 6-10. Predicted planetary A index is 6 on December 4-7, 5 on December 8-11, then 15 and 20 on December 12-13, 10 on December 14-15, then 8, 10 and 12 on December 16-18, 10 on December 19-20, 8 on December 21, 5 on December 22-27, then 15 and 12 on December 28-29, 8 on December 30-31, and 5 on January 1-6. In tomorrow's bulletin look for an updated forecast and reports from readers. Send me your reports and observations.